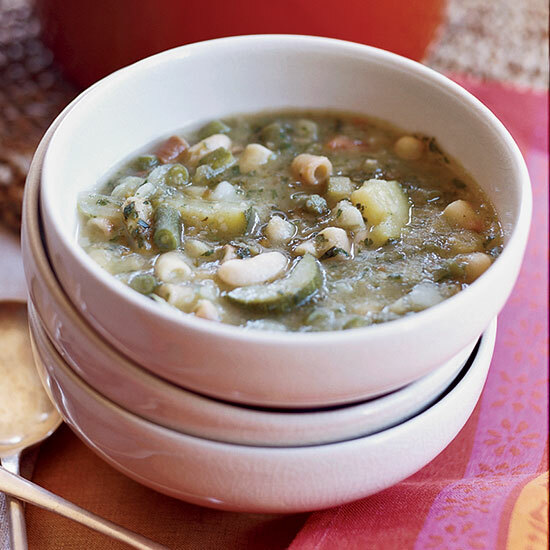 Healthy and hearty vegetable soups make for great appetizers and main courses. 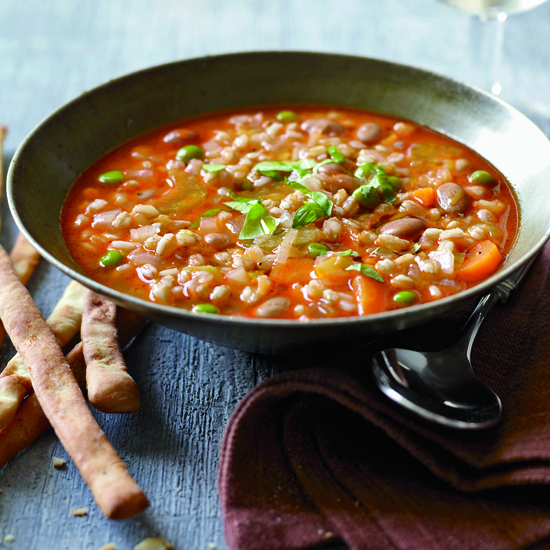 Here is a collection of Food & Wine’s best vegetable soups that are easy to make, delicious and are great year-round. 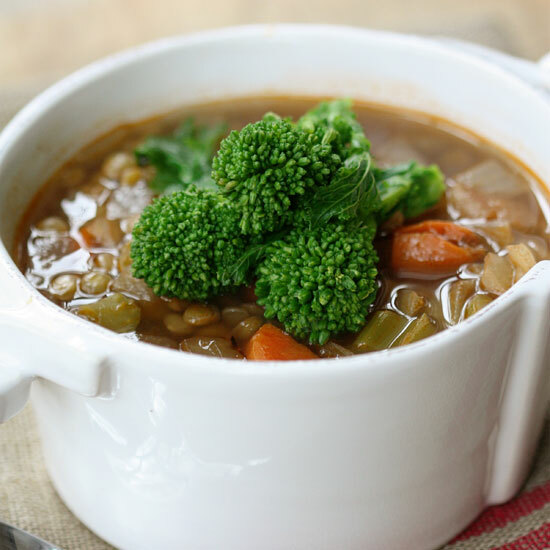 From smoky tomato to creamy broccoli, these stellar vegetable soups are some of our favorites. 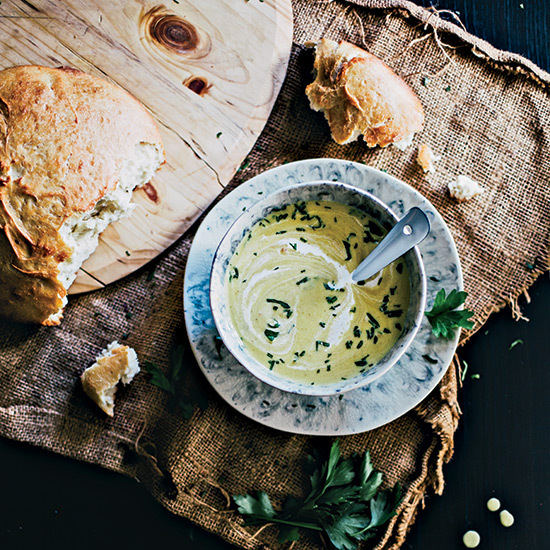 Given this soup's supremely silky texture, you'll think it's made with cream, but that texture actually comes from a potato pureed into the broth. For contrast, Food & Wine's Justin Chapple tops the soup with crispy broccoli florets and croutons. 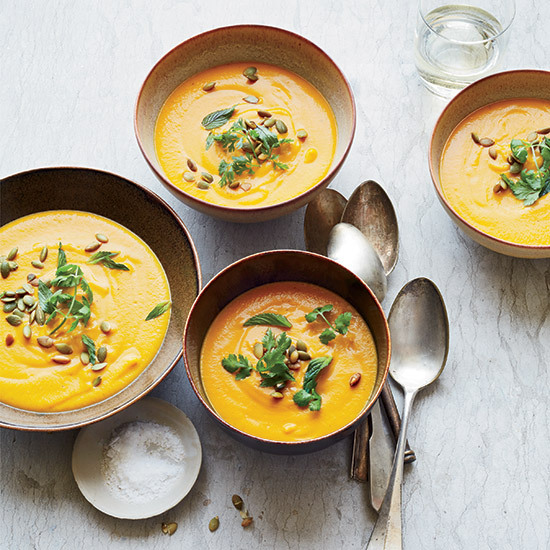 This extra-fast vegan soup gets a hint of fruity sweetness from an apple and a double dose of creaminess from almond milk and pureed raw cashews. Mild Spanish smoked paprika—also called pimentón—gives dishes an appealing smokiness. 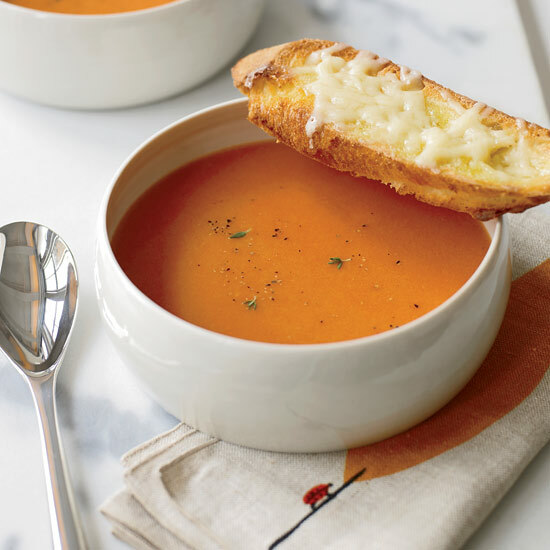 Using the sweetest, ripest tomatoes in season, Melissa Rubel makes a simple yet luscious soup flavored with smoked paprika and served with crunchy cheese toasts. 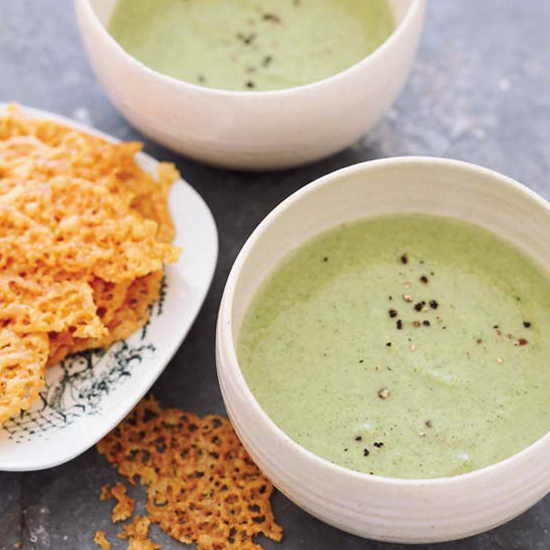 This superhealthy, supereasy soup is from Michael Stebner, director of culinary innovation for Sweetgreen, a Washington, DC-based string of restaurants that focuses on healthy and delicious food that’s also good for the planet. 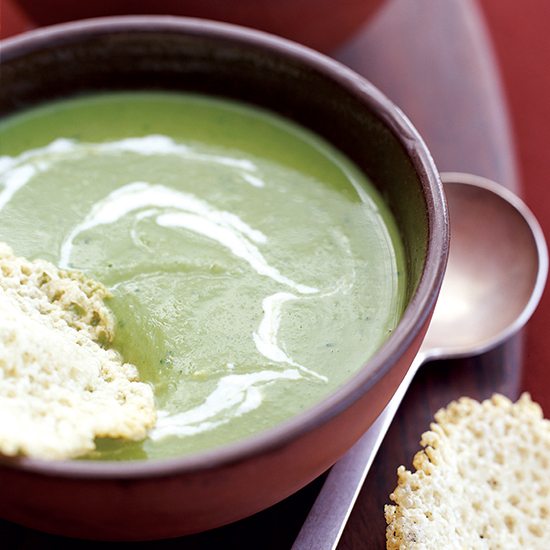 Antioxidant-rich fennel is one of several good-for-you ingredients in this wonderful soup. 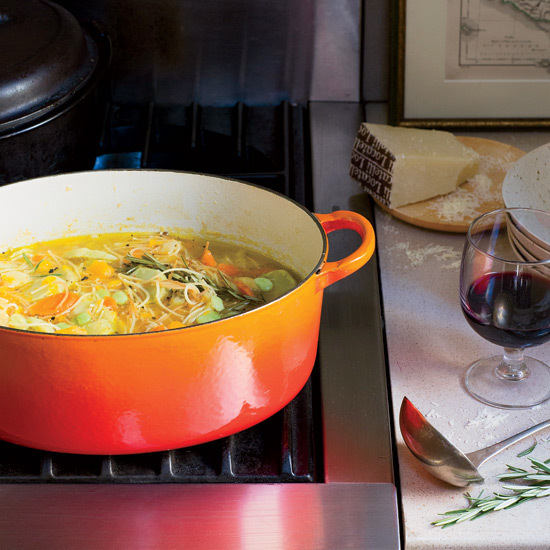 San Francisco cookbook author Viana La Place simmers Parmigiano-Reggiano rinds in the broth to give it a rich, cheesy flavor. 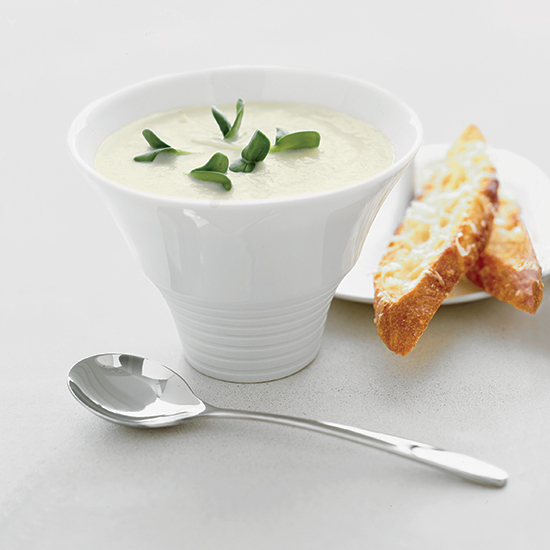 Chef Ian Schnoebelen takes cauliflower soup to another level by adding sunchokes (also called Jerusalem artichokes)—small, knobby tubers that taste sweet and crisp when raw, nutty and creamy when roasted. Schnoebelen cooks the sunchokes before pureeing them into the soup, which adds a wonderfully earthy flavor. 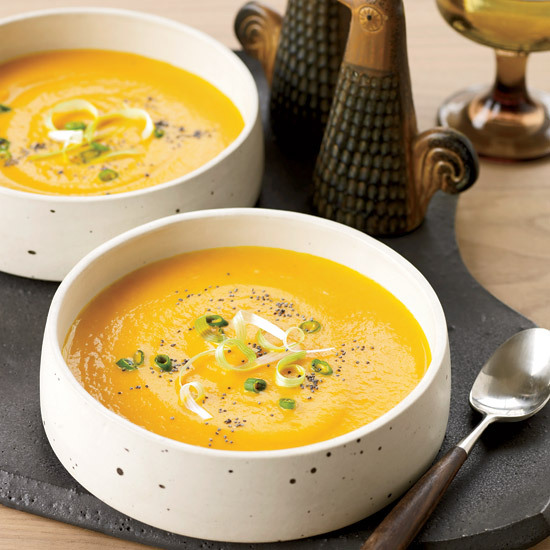 This velvety, spiced squash soup has layers of flavor, thanks to red chiles, tangy lemon juice and apple cider vinegar, plus a subtle touch of fish sauce. 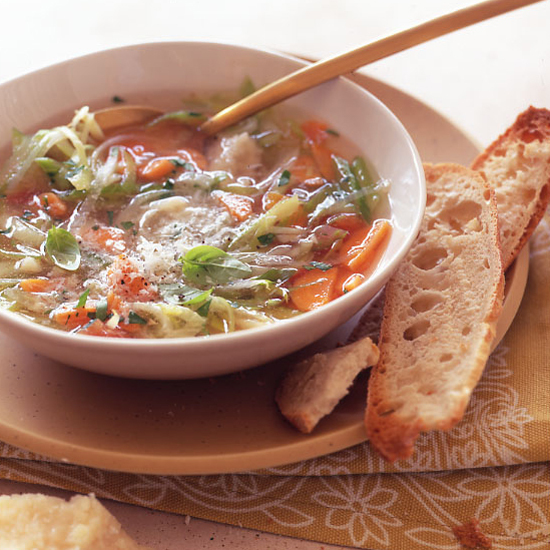 Two bright garnishes bring extra flavor and color to this vibrant soup. 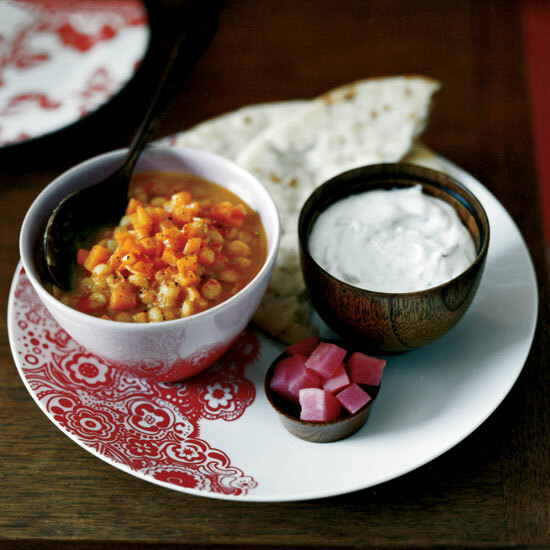 F&W's Melissa Rubel adds pumpkin to dal—the spicy, soupy Indian legume dish. 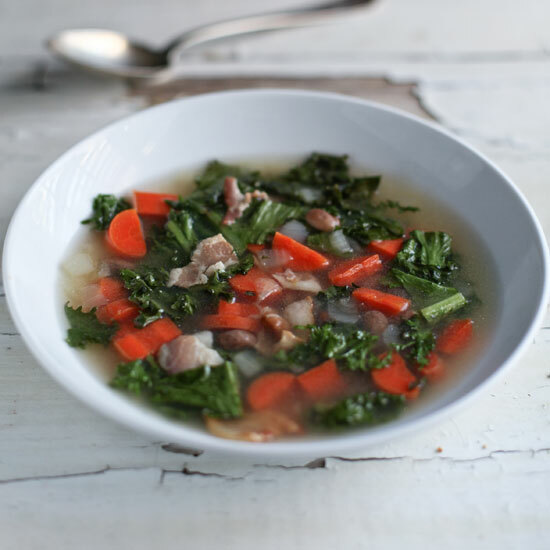 The result is a hearty, healthy soup with a lovely edge of sweetness. 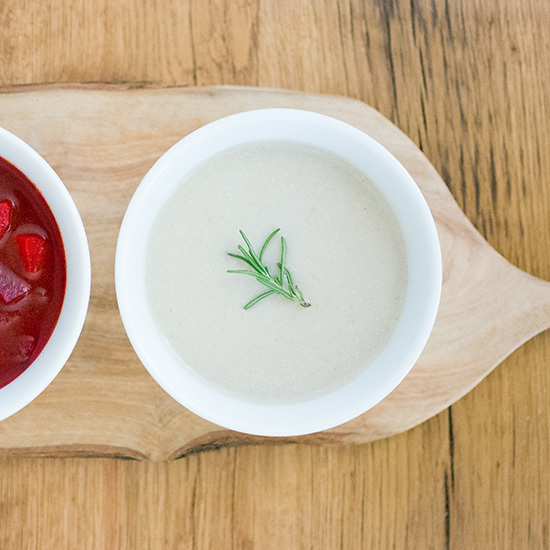 Colorful vegetables brighten our satisfying brothy soup. If Jerusalem artichokes (also called sunchokes) aren't available in your area, substitute another flavorful, slightly scratchy vegetable such as parsnips or turnips, or simple increase the quantities of the other vegetables in the soup. 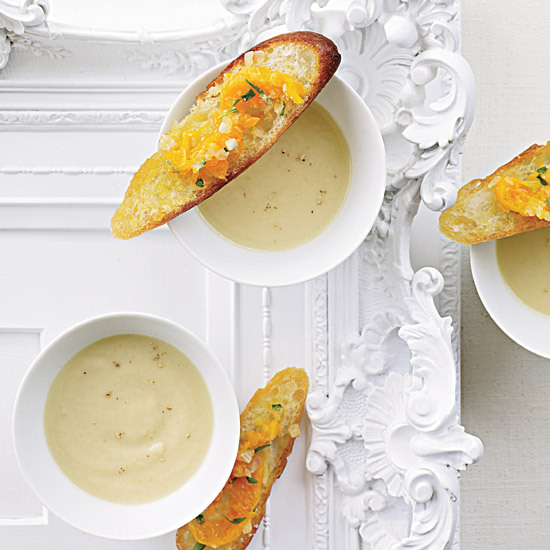 Chefs Braden Perkins and Laura Adrian created this lovely, silky soup. 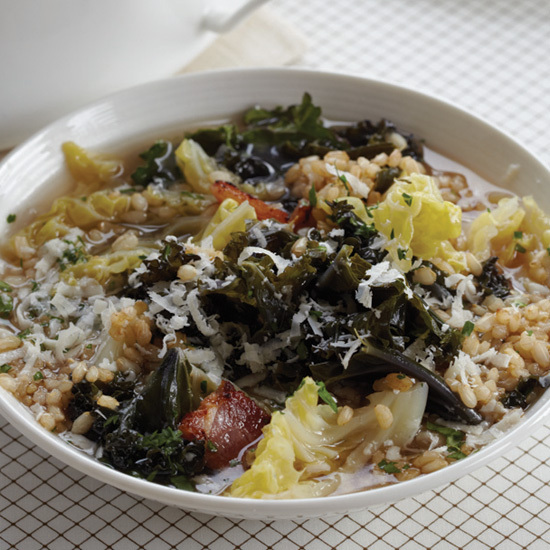 Leafy green escarole brings heartiness to this healthy soup. Carrots, white potatoes, and spinach are our vegetables of choice here, but you could try green beans, zucchini, cauliflower, or sweet potatoes. 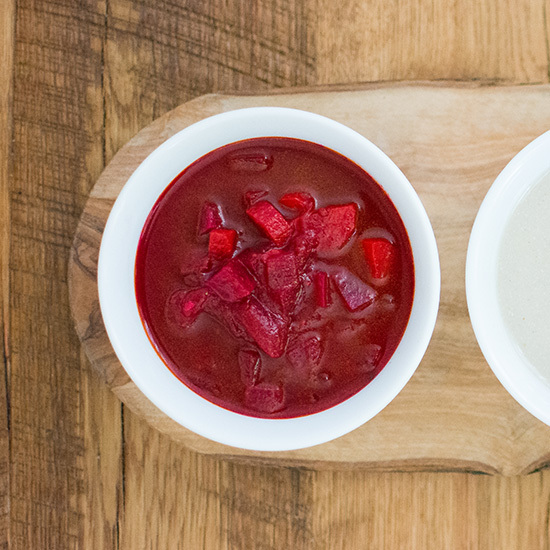 Another option: Pass some plain yogurt at the table to stir into each serving for a touch of tang. 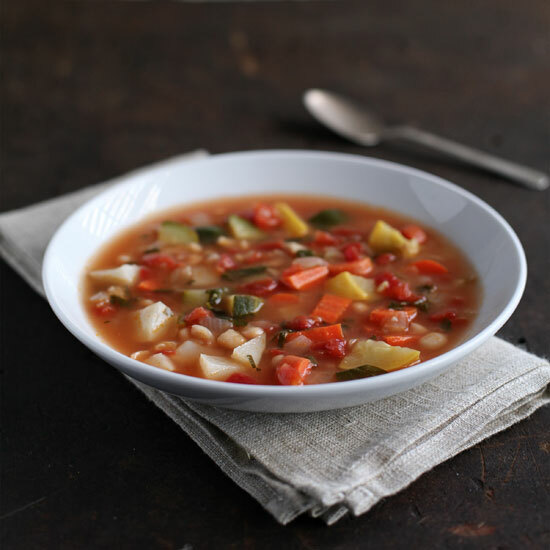 This minestrone is exceptional because it's packed with so many great vegetables and delicious toasted angel hair pasta.